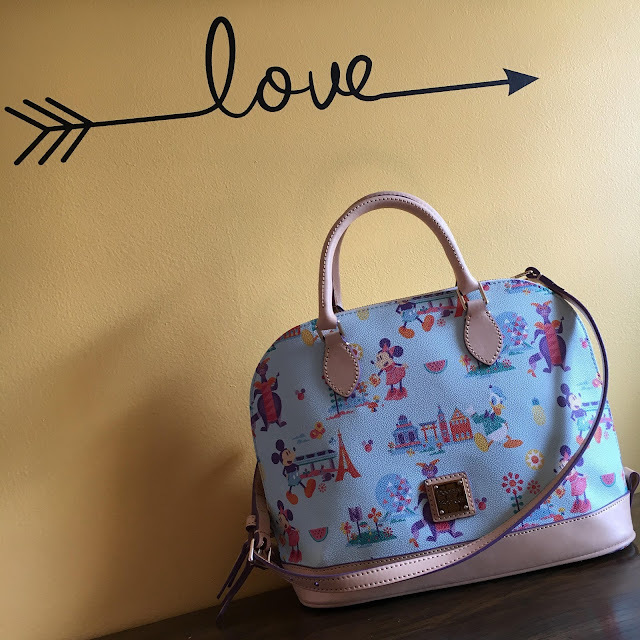 Picturing Disney: Dooney and Bourke Flower & Garden Festival Exclusive! Dooney and Bourke Flower & Garden Festival Exclusive! This Dooney & Bourke Flower & Garden pattern is a match made in coture bag heaven! This satchel is a 2017 Flower & Garden Festival exclusive. 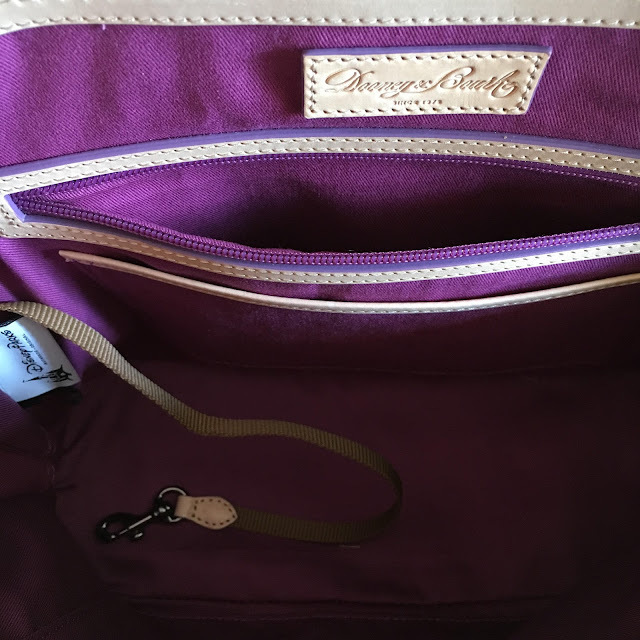 This adorable bag is perfect for park going! It is grained leather, has metal feet and an embossed Dooney & Bourke logo plate. The leather is easy to clean and has an easy to add-on shoulder strap. There is amble interior room with plenty of pockets. There is a zip pouch on one side, compartments for electronics across the way and a key clip! The dimensions for this bag are 10'' H x 12'' W x 5'' D with a 5" handle drop for the two exterior handles. The beautiful purple interior fabric is so pleasing to the eye and evokes beautiful flowers and Figment of course! Since this is a festival item, you can't order it online through Disney Store or the mobile Shop Disney Parks app, but you can locate it from within Epcot using the app.